Last night Germany recorded a record victory over FIFA World Cup hosts Brazil in the semi-final, marching on to await either Argentina or Holland in Sunday's final at The Maracana in Rio de Janero. The Germans were much improved from the side who struggled to a 2-2 draw with Ghana in the group stage of the tournament. 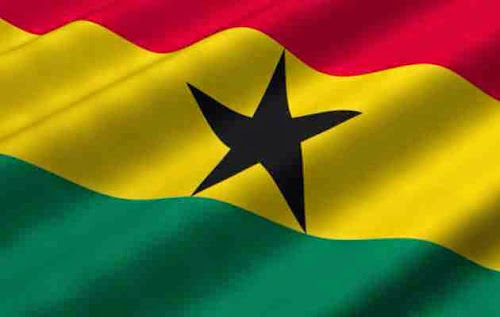 Speaking of Ghana, it was their turn to step up in my #beersoftheworldcup challenge. 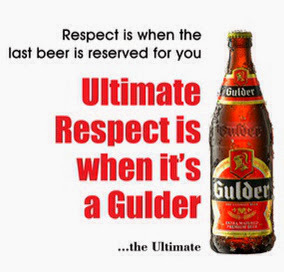 There is actually a reasonable number of beers brewed in the African country but little of it is actually exported to the UK and after much hunting, I was eventually able to lay my hands on a bottle of Gulder lager, one of the better known Ghanaian beers alongside Star and Club. 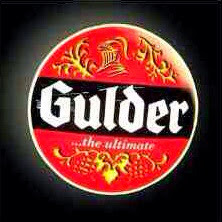 Gulder is brewed by Guiness Ghana Breweries and is an extra matured beer made from premium barley, quality hops and clean water to give a crisp taste and ultimate satisfaction. The beer is marketed as a quality beer for the man of taste who portrays his leadership through the choices he makes, and who is very optimistic about being successful in life. Looks like I fit perfectly into their demographic! 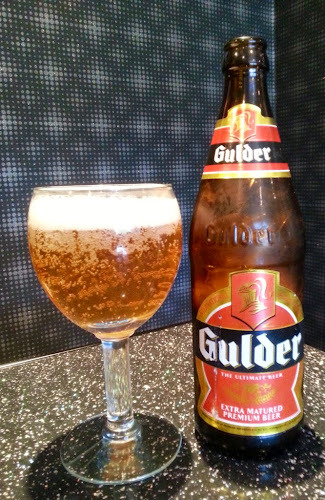 The Gulder pours with a golden straw colour and a foamy, off-white colour head that disputes quickly. Aromas of sweet malt and a little bitter hops are quick to identify themselves, there is also a slight sourness in the air. As for the taste, the sweetness is initially noticeable although replaced by flavours of toasted barley before finishing with a slightly bitter hoppy dryness. I thought the Gulder was a decent drinking lager and would definitely buy it again. I wasn't sure what to expect from Ghanaian beers but I'd go so far as to say that I was impressed with Gulder, it's maybe not my 'ultimate beer' but it's better than a lot that drank over the years.